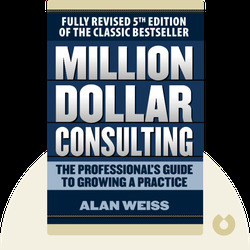 This fully revised fourth edition of the 1992 classic, Million Dollar Consulting, walks you through everything you’ll need to compete – and win – in the highly lucrative and busy world of consulting. Million Dollar Consulting offers you the tools you need to attract clients, organize your pipeline, and grow your current consulting business into a million-dollar one. 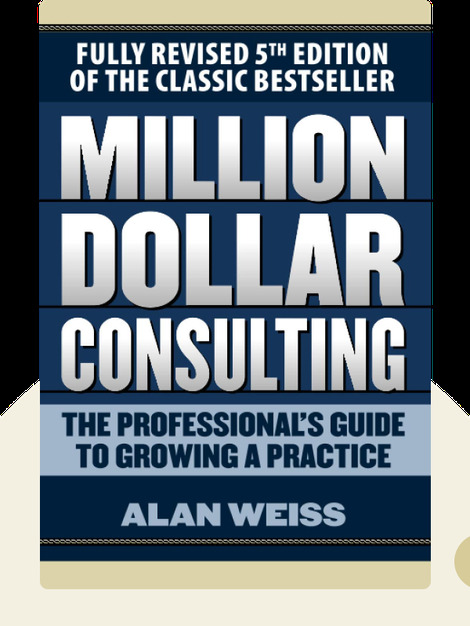 Alan Weiss is the founder of Summit Consulting Group and has penned more than 50 books, such as Getting Started in Consulting and Million Dollar Referrals. In addition to being named among the National Speaker Association’s top one percent of speakers in the world, he has also consulted for a huge number of companies and has consistently made more than $1,000,000 per year.